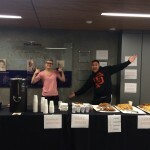 SLAC students served 20 dozen cookies, and massive amounts of coffee and lemonade to students studying for finals on Sunday night, April 24th. 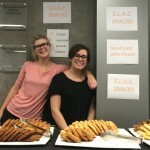 SLAC Snacks has become a greatly appreciated tradition each fall and spring semester the Sunday night before finals. 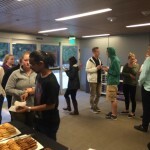 CAS would like to thank Dean Harrington for allowing the SLAC students space in the library for this event each semester. 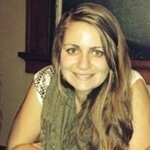 Congratulations to CAS in #PilotsGive! 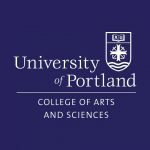 Congratulations to the College of Arts and Sciences, which placed second in total donors in #PilotsGive! 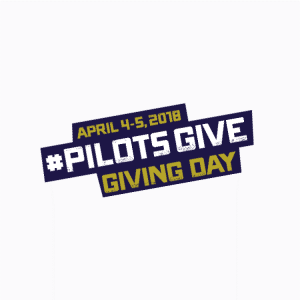 Thanks to your efforts, 128 donors made contributions to CAS, surpassing our … [Read More...] about Congratulations to CAS in #PilotsGive!